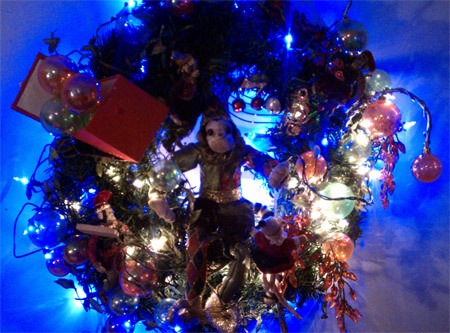 My mom got this for us about 5 years ago, and me and Veronica liked it so much it’s become our Christmas tradition to open our presents under the monkey wreath. I’d like to think it has magic powers. This movie called Hamlet 2 is on HBO – second time I’ve seen. Brilliant comedy – Paul Coogan as the lead is awesome. Anyone in the arts I think can relate to some of the frustrations and insecurities of his character. He also has a general geekiness which speaks to my inner geek as well. I’m not going to go on and on – I’m not really the profound type – just thought it was funny is all and, well, I haven’t updated this blog in I don’t know how long. 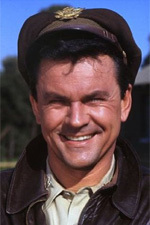 I was watching Night Gallery last night, and Bob Crane (from Hogan’s Hereos) was playing a husband who was plotting to murder his wife. 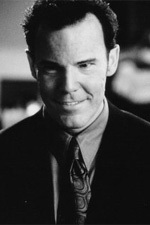 He had a very sinister look on his face and looked exactly like the guy from the horror flick Wishmaster. Just felt a need to share that with everyone. I have been refusing to sign up for Twitter for the longest time – to me (and a lot of people I know in my age group) that’s really just going too far – myspace, facebook, ok – even those sites don’t come naturally the older you get, but Twitter is just beyond the pale. Sets begin at 7:30pm and 9:00pm. I’m so happy to be writing an arrangement of I’ll Be Seeing You for piano/pipe organ – a good friend of mine, Ron Lenz, from Washington invited me out to do a church gig – I’m doing some classical music as well – which is stretching my boundaries a bit – I’ve played classical all my life for fun, but never in public since high school days.